From the author of the bestselling biographies of Benjamin Franklin and Albert Einstein, this is the exclusive biography of Steve Jobs.Based on more than forty interviews with Jobs conducted over two years--as well as interviews with more than a hundred family members, friends, adversaries, competitors, and colleagues--Walter Isaacson has written a riveting story of the roller-coaster life and searingly intense personality of a creative entrepreneur whose passion for perfection and ferocious drive revolutionized six industries: personal computers, animated movies, music, phones, tablet computing, and digital publishing. Although Jobs cooperated with this book, he asked for no control over what was written nor even the right to read it before it was published. He put nothing off-limits. He encouraged the people he knew to speak honestly. And Jobs spoke candidly, sometimes brutally so, about the people he worked with and competed against. His friends, foes, and colleagues provide an unvarnished view of the passions, perfectionism, obsessions, artistry, devilry, and compulsion for control that shaped his approach to business and the innovative products that resulted. Driven by demons, Jobs could drive those around him to fury and despair. But his personality and products were interrelated, just as Apple's hardware and software tended to be, as if part of an integrated system. 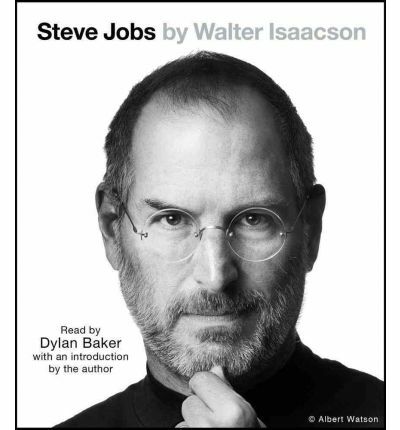 His tale is instructive and cautionary, filled with lessons about innovation, character, leadership, and values. About the Author: Walter Isaacson, the CEO of the Aspen Institute, has been chairman of CNN and the managing editor of Time magazine. He is the author of Steve Jobs; Einstein: His Life and Universe; Benjamin Franklin: An American Life; and Kissinger: A Biography. He lives in Washington, D.C., with his wife and daughter.